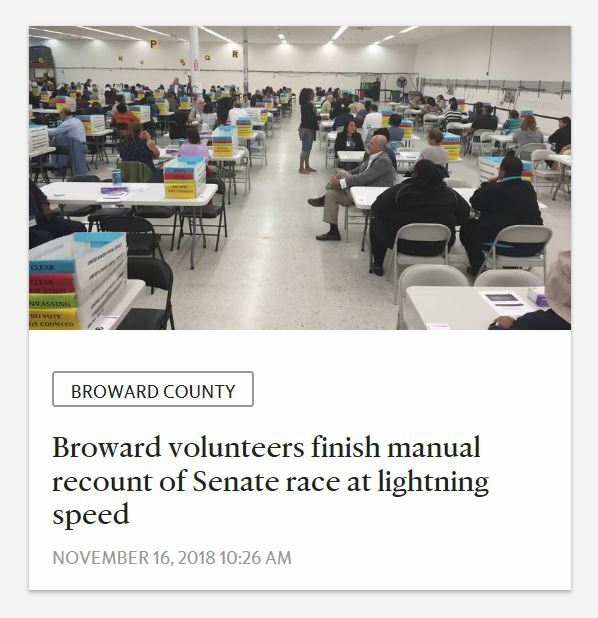 Electoral shenanigans in Broward? Perish the thought! This is the tweet from their reporter on site. 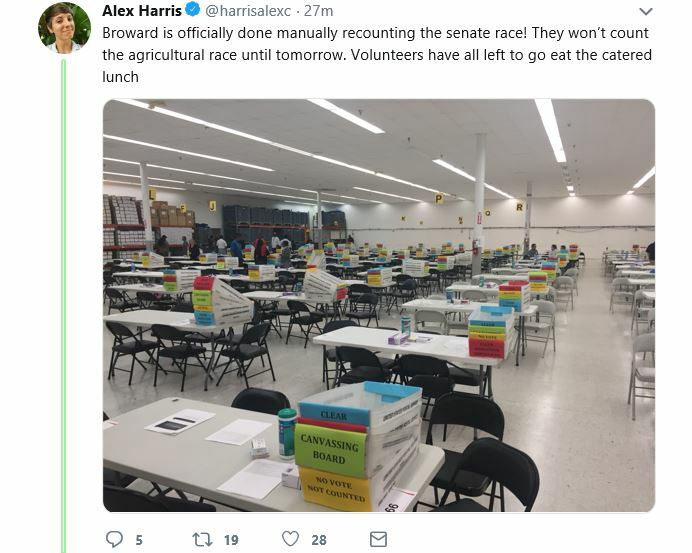 They recounted the votes for Senate manually overnight but took them days to do a machine count. Rick Scott won the count then the recount. If the manual recount alters the results, the federal investigation and ensuing Supreme Court case is going to be fun. I hope the Democrats know what they are getting into. I don’t think “third time’s a charm” is part of what people believe our system of elections is all about. I think the reason is they brought in a lot of outside people, and finally had enough Normal people to out number and overpower the sheer idiocy and complete incompetence of Ms. Snipes and the Broward County Elections bureaucracy. 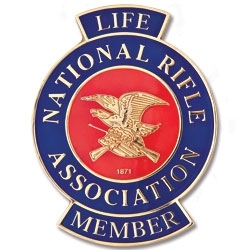 Are there ANY competent people in any Broward County Government Agency?